The 188 men who died when two warships ran ashore in a snowstorm exactly a century ago have been remembered at a ceremony in Orkney. The double tragedy occurred in terrible weather on the night of January 12 1918, during the First World War. 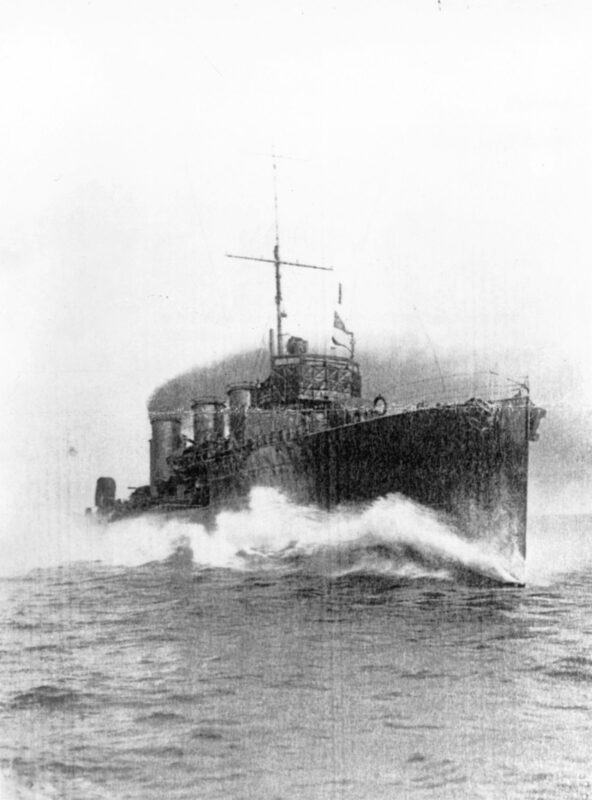 The destroyers HMS Opal and HMS Narborough were both wrecked on the rocks where they went aground at South Ronaldsay, resulting in the loss of all but one of the crew members on board the warships. All those who lost their lives were remembered on Friday at commemorative events in Orkney on the centenary of the disaster. Wreaths were laid at the Opal and Narborough memorial at Windwick Bay during a special service. Those involved observed a minute's silence after Royal Marines buglers sounded the Last Post. A further commemorative event took place at the Cromarty Hall, St Margaret's Hope. Council convener Harvey Johnston said: "We stood close to where the two destroyers ended up on the rocks in atrocious weather conditions and all we could hear during the minute of silent reflection was the sound of the wind and the sea. "It is difficult in such a peaceful place to comprehend what the men on board must have gone through. It was a terrible tragedy and it is so important that we remember their courage and their loss in the service of their country." The destroyers were on a night patrol to the east of Orkney and on the lookout for German ships and submarines laying mines. As weather conditions worsened, the Opal and Narborough were ordered to return to Scapa Flow. But as a blizzard set in, and with visibility near zero, they ran on to rocks off the east coast of South Ronaldsay. 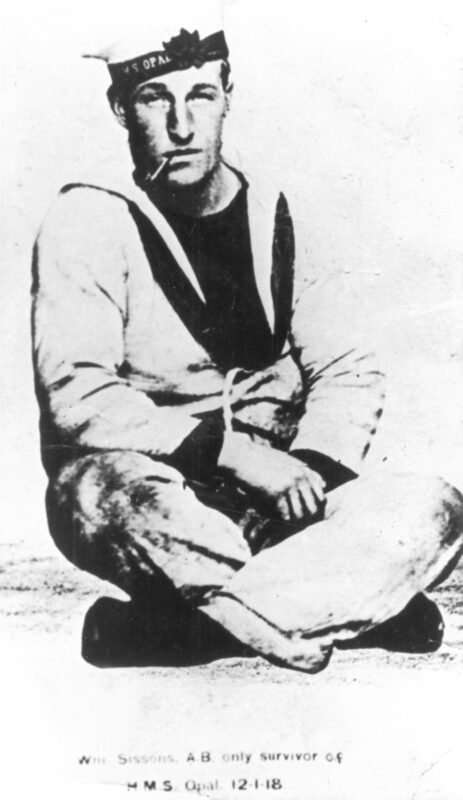 The only crewman found alive was a gunner aboard the Opal, Able Seaman William Sissons, who was rescued two days later. He survived not only the loss of his ship but the cold and snow once he got ashore. Many of those who died were never recovered. The graves of 55 of the men who perished can be found at the Commonwealth War Graves Commission's Royal Naval Cemetery at Lyness on the island of Hoy. One of those who died was 30-year-old Lieutenant Edmond Bowly. Newly appointed as Captain of HMS Narborough, he had married his wife Elizabeth less than a year before the tragedy. Better known to his family as Mansell, his middle name, he was the great-uncle of Tim Jackson, from Gullane in East Lothian, who travelled to Orkney for the event. He said: "Commemorating the service and sacrifice of the men who died so long ago is very important and I was determined to be here and take part." Lieutenant Commander Garth Atkinson, representing the Royal Navy, said: "I feel it is important that we as a Naval Service continue to remember the sacrifices made by our predecessors in the defence of our islands and also the communities that supported and shared in the losses with them."